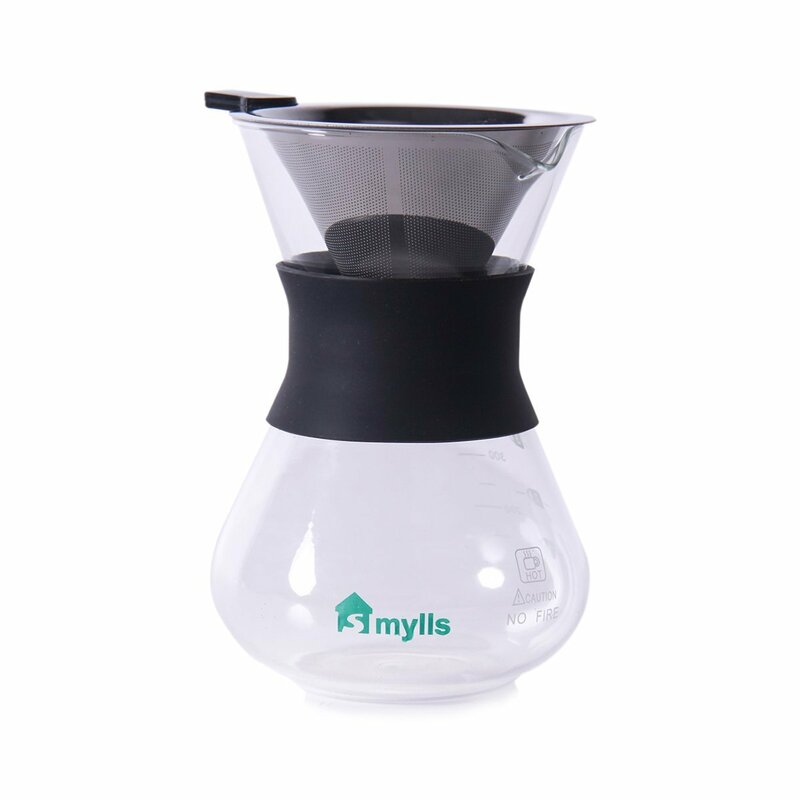 Home › Home and Kitchen › Smylls Hand Drip Coffee Maker For Pour Over Coffee3 Cup(12 Oz) Glass Carafe W..
Smylls Hand Drip Coffee Maker For Pour Over Coffee3 Cup(12 Oz) Glass Carafe W.. PERFECT MATERIAL. High quality glass, will resist thermal shock, and does not absorb any odors, or residue. NEW DESIGN. This filter Laser-cut stainless steel can use over and over, and it without robbing you of any essential oils like paper filters.never buy another paper filter again! HEAT-RESISTANT. The collar lets you hold the carafe and pour even while your coffee is still piping hot. EASY TO CLEANING. Other brewing methods take a lot of fuss and cleaning. Pour over coffee is great, takes no effort to clean and makes coffee to die for. PROFESSIONAL EXPERIENCE. Holds 2-3 coffee cups for yourself or share to your friends,and it is good for creating your coffee quality.